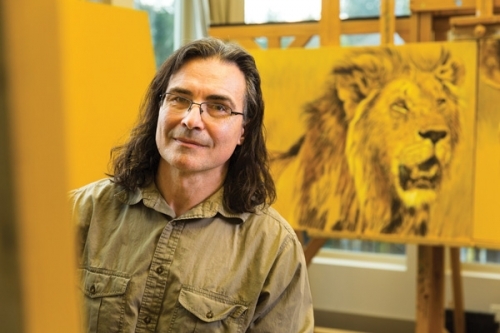 "Three of those great wildlife artists—John Seerey-Lester, John Banovich, and Joshua Spies—have managed to consistently capture the attention of hunters and art collectors. They have done so by masterfully capturing in fine detail a single moment in a quiet place: a moonlit camp with marauding lions, a whitetail buck on a cold au-tumn morning, a duck dropping into a hidden pothole with glassy water, or an old elephant bull in a shroud of African dust. It’s no wonder that hunters are so drawn to the work of these artists, for great wildlife art helps transport us to the wilderness and allows us to live in a moment that might be decades gone."